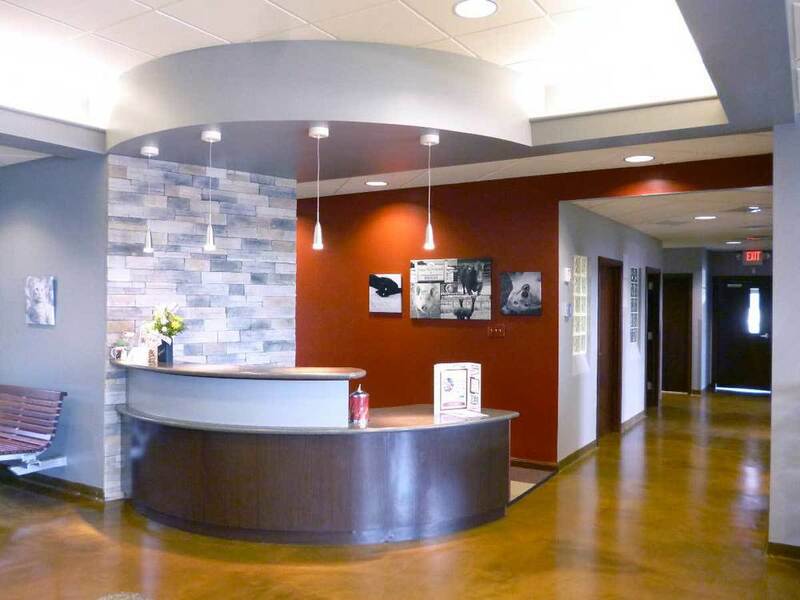 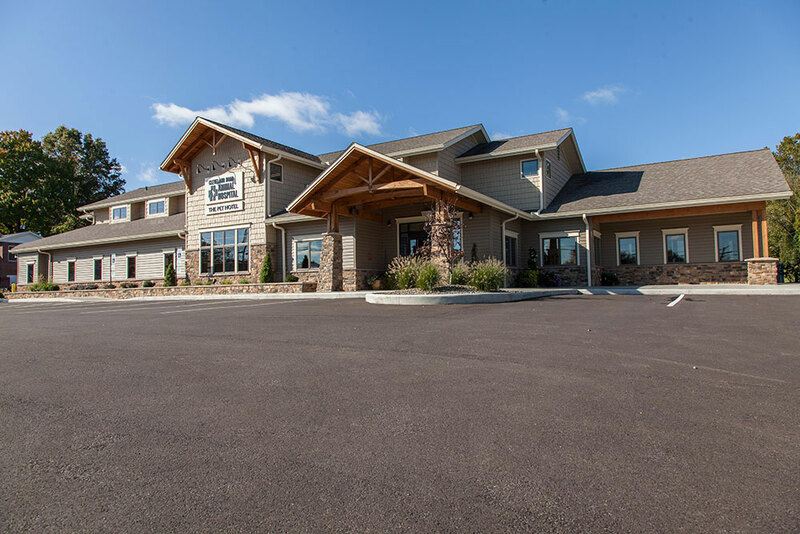 The 13,450 square foot facility offers the public a full-service veterinary hospital with amenities including day care, obedience classes, boarding, grooming, and rehabilitation therapy. 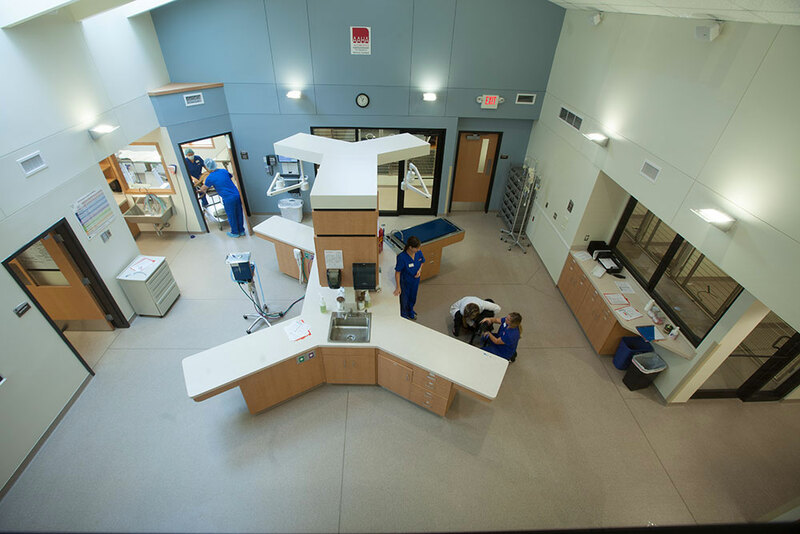 The hospital includes a generous waiting area with separate canine and feline waiting areas; six exam rooms; and the work areas: surgery, dental, imaging and labs are centralized around the large spacious treatment area and supported by a glass enclosed doctor’s work station. 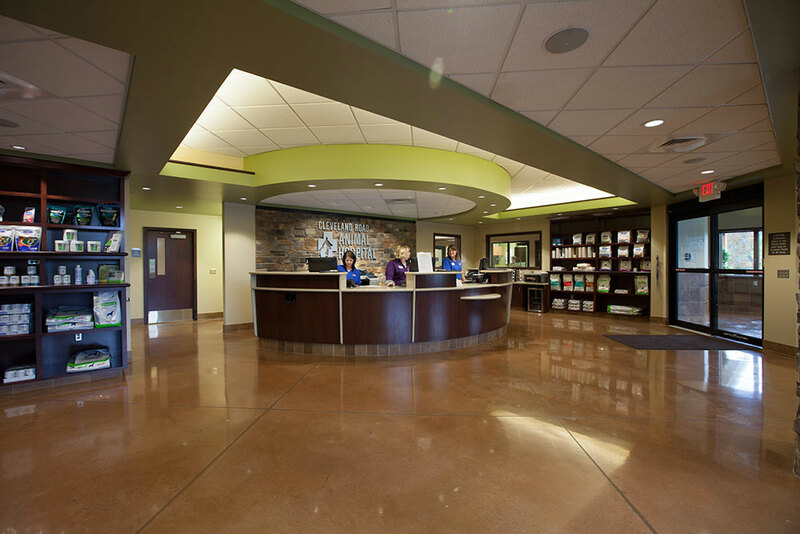 A second floor observation area is used to educate the next generation interested in veterinary medicine.